Anti-corruption education: to be or not to be? Since 2014, all high schools in Vietnam have been implementing the updated curriculum for civic education that includes anti-corruption content. This initiative by Vietnam’s Ministry of Education and Training attempts to tackle the problem of corruption in education. However, many people are skeptical, wondering whether this initiative will actually translate into behavior changes. According to the Transparency International’s Corruption Perception Index (CPI 2013), Vietnam ranks 116 of 177 countries and territories. A survey published by the World Bank in the Vietnam Development Report (2010) reveals that 17 percent of service users say that corruption is serious or very serious in public university and college education. In a recent survey, Transparency International (TI) also found that 49% of Vietnamese respondents perceive their education sector to be “corrupt” or “highly corrupt”. The percentage was higher than that found in Thailand, Malaysia, Indonesia and Cambodia. In the words of Pascal Fabie, a regional director in Asia and the Pacific for TI, corruption in education is the “double jeopardy” for its adverse effects to the future generation. In recent years, along with the issuance of the anti-corruption laws, a number of anti-corruption campaigns have been launched in Vietnam. Under the Government’s Project 137, high schools and some institutions have started incorporating anti-corruption education in school curricula since 2013. Receiving accolades by many people, this initiative is often critiqued for its practicality. The opponents believe that teaching about anti-corruption is just a waste of time. It is only about theory, not practice. There is no guarantee that students who learn about anti-corruption will not be committed to corrupt behaviors in the future. Moreover, civic education has been repeatedly claimed to be one of the most unimportant and boring subjects at school. In fact, most students see it as a non-core subject. They have invested little in this subject as they believe it has no role in their academic success. Meanwhile, the subject’s contents and teachers’ lack of appropriate pedagogical strategy further contribute to making the subject ineffective. Obviously, with the old way of rote learning and lack of practical application, anti-corruption education might eventually become a redundancy in students’ study. Though anti-corruption education may not equip students with any practical skills overnight, students would become better aware of what entails corruption. They will learn about which behaviors or practices are viewed as being corrupt. This understanding is important because perceptions of corruption vary greatly among different cultures. In addition, many popular practices (including cheating in exams or giving money to teachers) are too often taken for granted. Children who observe and then practice these acts may never perceive that they are doing something bad. It can be a surprise even to those working in the field of education that corruption entails more than what they often assume. According to Vietnam’s Ministry of Education and Training (MOET), corruption in education is most evident in such behaviors as buying slots in an (elite) public school; buying grades; recruiting and promoting teachers; as well as cutting out budgets for school supplies and education projects. A great many other smaller scale, subtle forms of corruption are going unnoticed and not seriously challenged. Through anti-corruption education and campaigns, more people will become aware about the varied forms of private tutoring, abuse of schooling fees, and textbook monopoly as corrupt practices. It is this very fact that makes the skeptics concerned. Rampant cheating and dishonest practices in the society can in effect negate anti-corruption education. A survey by TI found that 95% Vietnamese students admitted that they cheated at least once during their school time; many teachers and education administrators received grafts for improving a student’s score or as a guarantee for university acceptance. In a more subtle form of corruption, many teachers are found to hold extra tuitions with fees in the name of improving students’ academic performance. More and more parents come to believe that their children are either coerced to take the extra classes or put into a disadvantageous position in the mainstream class. In this context, it is effective to teach moral lessons while what is learned is sharply contradicting the reality? Is it effective for teachers whose overall image is ruined by such corrupt practices to teach about morality? Is it possible for the youngsters to learn how to fight corruption caused by the adults? In a broader context, while several high profile corruption trials are being executed as part of a crackdown on graft, the overall picture of a corrupt society with loose legal framework seems unable to convince the public that the government is truly tackling corruption. Anti-corruption education would then turn to a dogmatic and theoretic class; and worse, students would end up becoming either cynics, dissidents, or indifferent citizens. This is definitely not the expected outcome of any anti-corruption education. Undoubtedly, anti-corruption education has its merits. However, for it to be effective, a sea of changes in the legal and political system is badly needed. At the very least, anti-corruption education shouldn’t be a “stand-alone” subject. First, it should be incorporated in the whole curriculum towards the common goal of equipping students with solid understanding about law and general code of conduct. Importantly, teachers play a crucial role as both an instructor and a role model in instilling in students the significance of integrity. To me, poor working conditions or any social impacts should never be a justification for teacher corruption. When the law on anti-corruption has not been complete, teachers’ own conduct and equal treatment of students are genuine lessons on anti-corruption. Second, anti-corruption education should be accompanied by different extra curricular activities that aim to develop rounded citizens who are honest and respect the laws. Together with anti-corruption campaigns supported by TI or World Bank, these activities are necessary to get students involved in activism promoting integrity and honesty in study and their own life. Vietnamese youth will expect and definitely learn a lot from these activities beyond the mainstream anti-corruption education. Alyssa’s recent blog on teacher’s status really hits home. She brings up the issue of teacher’s salaries, which has been nagging me for so long. This is an issue of global concern. It affects not only less developed nations like my home country of Vietnam but also many wealthy European countries and the United States. The issue of teacher status also comes to mind when searching for what makes my country similar with the U.S. While I did not come up with as many similarities as the differences, some commonalities are really fascinating! One of these commonalities in the field of education is related to public school teachers’ pay. According to the OECD data, average American school teacher salary is approximately US$45,000 per year, higher than the OECD’s average of $37,000. Meanwhile, a Vietnamese teacher gets around VDN30,000,000 per year (an equivalent US$1,422). But it would make no sense to make such absolute economic comparisons. What I would like to focus on in this blog is a common public concern about teacher salaries and status in the two countries. When I was young, I read a lot of stories in which teachers would be portrayed as “poor, respected old teachers” who led a very simple but virtuous life. In my childhood, this was understandable simply because Vietnam was in wartime. The national budget was limited and the economy was stagnant. Recently, the country has changed significantly with dramatic progress in economic development. Given that the government has spent significantly on education (about 3.5-4% of GDP), salaries of school teachers are still much lower compared to other professions. Sadly, most teachers can barely survive on their meager salaries. Many attempt to supplement their salaries by having extra jobs or teaching extra classes. Ironically, the notion of “poor, respected teacher” is still taken for granted today, as if once being a teacher, she or he must be poor and lead a simple life. Does it mean that poor teachers are more worthy of being venerated? I was struck one day by the fact that low teacher pay is not unique to developing countries like Vietnam. Unfair compensation has been the complaint of pre-K-12 teachers in many states of the U.S. for years. 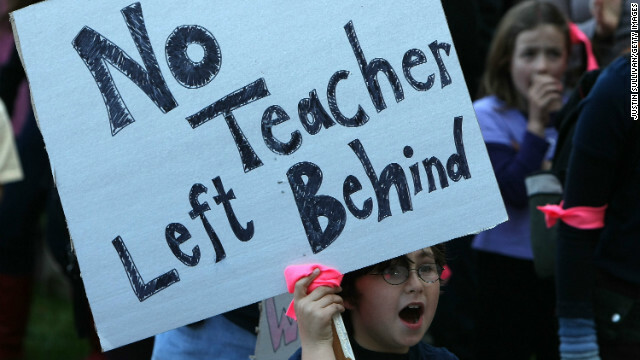 Indeed, in contrast to a myth that teachers are overpaid and that teacher’s perks are too ample, the Americans acknowledge ‘the bitter truth of how difficult it is for the teachers to make ends meet.’ And in order to raise a family on one’s salary, over 60 percent of American teachers work outside the classroom. While seeking extra earnings, it is likely that teachers may not be wholeheartedly devoted to their main task of teaching. Interestingly, just as in Vietnam, low teacher pay has become a real joke amongst friends’ conversations in the U.S. The following reflection from an American teacher also holds true in Vietnam: “We go out to dinner and everyone takes turns paying, but when it’s my turn, someone always says, ‘Let me get that, you’re a teacher.’ It sounds funny then but, perhaps, no teacher wants to have this kind of treatment in his or her life. Also, no teacher, particularly in the case of Vietnam, wants to learn that parents send the children to extra classes as a way of ‘contributing’ to teacher’s income. In addition to low income, teachers in both countries are often under great pressure for other reasons. In both countries, they have to work under rigid requirements and have high expectations from parents and society to produce high quality workforce. They take such a very important role in education, but when students’ test scores are low, teachers are the first and only ones to be called bad teachers. Even, many of those teachers face being sacked. A long-term consequence of low teacher pay comes at a high cost for schools and children, who lose good teachers to better-paying professions. In the U.S., some 20 percent of new public school teachers leave the profession by the end of the first year, and almost half leave within the first five years. Approximately 46 percent quit before their fifth year. The turnover costs the United States US$7.34 billion yearly. Such high turnover has a devastating effect on schools. In Vietnam, many best and devoted teachers have to leave the profession. Many of those who remain in the teaching career feel demotivated, which obviously affects their effective teaching. Worse, this low pay scenario scares even the bravest students who want to become teachers, leading to further teacher shortage. There was time that teacher education colleges in Vietnam had to lower the entrance scores and exempted tuitions to lure enough students into teaching majors. Not to mention that by doing so, quality of potential teachers was downgraded, the problem of recruiting and retaining teachers remains unsolved. The puzzle of low teacher’s pay and teacher education is even complicated when it comes to teaching condition in the rural and disadvantaged areas. As said earlier, low teacher pay issue is popular not only in Vietnam or the U.S. It is a global concern, evident in recent strikes for better pay and working conditions in the UK, Iceland, Maldives, and Australia. The Varkey GEMS Foundation’ 2013 Index reveals that 95 percent of the surveyed countries said that teachers should be paid a wage in excess of the actual wage they thought they received. However, I cannot help but feel that this concern is taken serious in teacher communities only or by those who truly value the work that teachers have to perform in their job. Still, quite a few people hold that teaching is a simple job, because ‘all what teachers do is just repeating from class to class with little modification’. People think that it is a leisurely work, because ‘teachers have much free time: may not teach whole days while enjoying a long summer’. People believe that teacher’s income is quite high, because ‘teachers have high compensations and they may earn a fortune from their private tutoring classes’. And thus, merit pay or market-based pay systems are viewed as novel solutions to teacher pay reforms. We hope that policy makers who consider teacher pay solutions are not those people. The simple logic they should know is: if the country wants to have highly qualified teachers that is essential to student success, it has to “invest” in them. “The school operates extra classes because the students’ entry level knowledge is far below average and they are actually dumb” Ms. Mai, headmaster of a high school in Hue, Vietnam. This statement was made earlier this year by an educational administrator who was trying to justify to the inspectors and reporters why her school held extra private lessons, charging students fees during school hours. Either feeling extremely shocked or somewhat empathetic with her explanation, many people have come to realize that this is only one among many reasons for having extra classes in Vietnam. Indeed, private tutoring appears to be indispensable in the context of Vietnam. This has in effect negated the ban on private tutoring for the last two years. some snacks before the next extra class! Choosing to confront instead of tolerate private tutoring, Vietnam has taken quite a few measures to tackle the rising scale of private tutoring over the last two decades. In addition to the regulations, the government has stipulated numerous policy documents to curb private tutoring and concomitant illegal financial affairs. Various measures and efforts to control private tutoring have been documented since 1993. In 2012, the country started enacting one of the strictest bans on private tutoring. Sadly, the phenomenon remains pervasive and tutoring practices become largely uncontrollable. Despite the ban, extra classes in numerous forms continue to grow. The media continues to report cases breaching the private tutoring ban: school administrators violating the ban are fined, tutoring teachers are punished. Ironically, the more regulations introduced, the more teachers provide extra classes, both legally and illegally. The stricter the penalty provisions, the more creative parents and schools become in finding ways to continue the extra classes. While the vicious circle has not been broken, all people involved in this circle seem to feel more guilty. By seeking ways to supplement their salaries and cover the mainstream curriculum, many teachers now feel like criminals. By trying to secure their children the best possible education, most parents feel like accomplices. Worst of all, by attending extra classes to compete the regular curriculum or improve their academic performance, students feel that they are less able and even dumb! Mark Bray, a scholar who has studied private tutoring for a long time, notes that private tutoring ban has appeared ineffective in most countries that implement it. South Korea has been the most often cited example. Its draconian measure against private tutoring during late 1900s was a complete failure, leading its government to loosen control on private tutoring practices. Vietnam should learn the ‘private tutoring’ lessons from other countries, no matter whether these lessons are successful or not. It can also learn a lot from different education initiatives that have been introduced in other countries. More importantly, it should open the discussion on the related issues to the wider public, taking both parents’, teachers’, students’, and experts’ opinions. At the same time, more research on private tutoring and related issues in the local settings should be rigorously promoted. Undeniably, it would take more time and resources to tackle the root causes of private tutoring than simply prohibiting it. I agree with many people saying that private tutoring seems like a chronic ‘disease’. But it’s by no means incurable. It also true that the effects of private tutoring are so serious that it badly needs fixing. But experience shows us that too often, quick medication proves ineffective in the long run and poses unintended effects. In fact, portrayed by the media as being “incompatible”, only “working on paper” or “going into an impasse”, the ban can hardly achieve its goal as a ‘silver bullet’ solution to private tutoring. Undoubtedly, choosing not to ignore private tutoring is a ‘must’. But inappropriate handling of it would run the risk of going against the very direction of the Vietnamese government’s ‘socialization of education,’ which emphasizes the need for “all segments of society” to contribute to the provision of education. I share the view with the authors of the book ‘Shadow education in Asia’ who state that careful analysis and a great deal consultation need to be sought before implementing any policy. This can include thorough assessment of the current context to understand the supply and demand mechanisms of private tutoring in Vietnam. Overall, instead of ‘upgrading’ the unworkable ban with new regulations and circulars, it’s high time for Vietnam to revamp the national examinations, which is private tutoring’s number one partner. In addition to reducing the study load at all levels, Vietnam should urgently reform teachers’ salary. Most importantly, it must improve the selection and training of teachers. It is teacher quality in mainstream schools that would gradually change parents’ deep-rooted stereotypes about education quality in public schools and misinformation about private tutoring’s miraculous effects on their children’s achievements. Only more than two months ago when PISA 2012 scores were officially released, the world once again experienced “the PISA shock.” It is the first time Vietnam has ever participated in this international assessment implemented by the OECD. Worried. Anxious. No high expectations. Then… stunned! Vietnam was among top twenty! Its overall 17th-place ranking out of 65 countries outstripped many more developed economies. A kind of shock! Many government officials and education experts, both regional and international, generously praised Vietnam for its unexpectedly high scores at the PISA 2012. In the region, some countries such as Australia, Thailand, and Indonesia even suggested emulating Vietnam to improve their PISA performance. Meanwhile, responses from most local media and social networks seemed more discreet. Coupled with happiness and pride, many people responded to the high scores with great skepticism. They became puzzled over the performance that was beyond their expectations. It was indeed happy to have such incredible scores at an international competition for the first time. Vietnamese people should be much proud of their high performing 15 year olds, given that the students are educated in one of the poorest countries in the world, with a per capita GDP of less than $USD 1,800! And let’s imagine this scenario – on a beautiful day, teacher delegations from other lower performing countries paid a visit to Vietnam. They wanted to understand “the Vietnam myth.” They would interview a number of key education stakeholders about the reasons for such impressive PISA results. And their interviews would reveal the following answers. Vietnamese 15 year olds: Oh, we don’t know why. What we did was simply trying our best! Teachers of 15 year olds: No, it is unlikely our efforts. The recent comprehensive study by Madam Nguyen Thi Binh (former Vice President of Vietnam) shows that teacher quality is alarmingly worrisome. Admittedly, many of us need to seek ways to supplement our low salaries. Yes, we are moonlighting; we are doing other extra jobs. We aren’t committed and dedicated enough to teaching at school. We don’t know why our students got such high results! Parents of 15 year olds: We were taken aback by the high scores. Our children are attending public schools, which have been long criticized for failing. Schools everywhere are notoriously plagued with many evils: “achievement disease,” extra classes, corruption, degraded moral, low teacher quality… As parents, we constantly set high expectations for our children while finding alternatives to equipping them with knowledge and skills we believe are necessary. We don’t know. Maybe, not sure, the high scores are the result of extra classes! For many people, the high PISA scores, while adding to the glorious collections of gold medals and prizes of Vietnamese students in international mathematical or physics Olympiads, leave them with more unanswered questions. Why are there many (poor, disadvantaged) students who drop out? Why are students often complained for not being creative, critical, and lacking important soft skills? Why are there many young graduates who fail to get jobs? Why aren’t there many articles written by Vietnamese researchers in international peer-reviewed journals? Why does the economy rely much more on cheap labor than innovations? And why is Vietnam still so poor? While not providing satisfactory answers to the international teacher delegations regarding the reasons for the high performance in PISA, Vietnam is certain about what it wants for the time ahead. If continuing to join this international competition club, Vietnamese teachers and parents do not want the nation’s education policy to be directed in ways that further promote ‘bad practices’ (exam-driven curriculum, private tutoring, standardized testing, corruption, and others). They will not want to train the children to become test-taking machines without the ability of communication and teamwork. They do not want to sacrifice “cultural and community values” (Rizvi, F., & Lingard, B., 2013, p.116) and other human development concerns for the meaningless global ranking. Undeniably, it is hard to avoid competing for rank in a “race,” especially when it is an international competition. It is for the national pride. It is much harder to avoid the backwash effect of the tests. But Vietnamese teachers and parents do hope that “the tail will not wag the dog” and that PISA will not pose negative impacts on the country’s curriculum and teaching. This only takes place when both people and educational leaders acknowledge that PISA is not a perfect indicator. It is not at all a comprehensive measure either. More importantly, when the policy makers are not complacent with the country laurels, it is capable of capitalizing on its strong PISA performance with practical reforms. 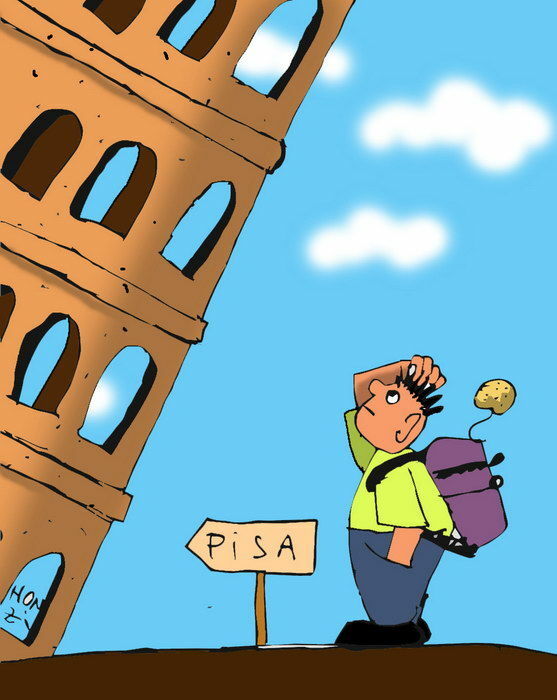 So whether or not to take PISA again, it does not matter. The most pivotal thing for Vietnam is to concentrate on what really matters to the students.